Mr. Newman practices in Ray Quinney & Nebeker’s litigation section where he represents clients in business and commercial disputes, including contract, tort, trade secret, and general civil litigation. He has successfully represented numerous clients in large, complex commercial disputes with millions of dollars at stake. Mr. Newman has taken cases to trial in both state and federal court and has also obtained favorable results for his clients prior to trial through mediation, settlement, summary judgment, and other pre-trial motions. Mr. Newman regularly appears before district courts throughout the state of Utah and has also presented arguments before the Utah Court of Appeals. In addition to his commercial litigation practice, Mr. Newman represents employers in disputes involving non-competition and non-solicitation agreements and has obtained temporary restraining orders and permanent injunctions to protect his clients’ interests. Mr. Newman also has experience defending clients against personal injury and tort claims, including products liability and negligence claims. 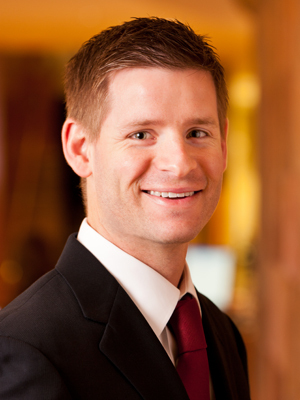 Mr. Newman has been recognized by Mountain States Super Lawyers as a Rising Star (2016-2018) in the category of Business Litigation and has been voted by his peers throughout the state as one of Utah’s “Legal Elite,” as published in Utah Business Magazine (2013, 2016-2019). Prior to joining Ray Quinney & Nebeker, Mr. Newman served as a judicial law clerk for the Honorable Judge Dee V. Benson at the United States District Court for the District of Utah.